Due to weather conditions and material availability, the median closure scheduled for US 95 and Lancaster Road has been delayed a week. All left turns will be restricted at the intersection of 95 and Lancaster beginning March 9 now. The median crossing at the intersection will be closed while crews assemble and put up structures for a traffic signal. Work requiring the left-turn restrictions is expected to take about one week to complete. When the span over the median is in place, it will be reopened. Daily closures will occur as work progresses. Boekel Road is the designated detour route. Right turns onto Lancaster and onto U.S. 95 will be permitted. Once installation is complete, the signal heads will be covered and will not become operational until the final layer of pavement and pavement striping are completed later this spring. The work is part of a project to widen U.S. 95 between Wyoming Avenue and the Idaho 53 junction south of Garwood. Funding is provided through savings from other American Recovery and Reinvestment Act (federal stimulus) projects that were bid in 2010. Snoqualmie Pass on I-90 is closed in both directions from near North Bend to Ellensburg due to a snow slide blocking the westbound lanes. Crews are working to clear the roadway but because the closure is weather-related they can't estimate when the road will be open again. The Idaho House Transportation Committee is holding a hearing today on House Bill 141, a measure that's described as a “lite” version of last year's texting-while-driving ban. What do you think, after reading the blog posts do you feel this proposed law would have any teeth? The boss sent me these pictures from the weekend from out by Worley. It's amazing the different levels of snow accumulation from place to place. At my place over the state line we got four or five inches of snow and it didn't blow around any. 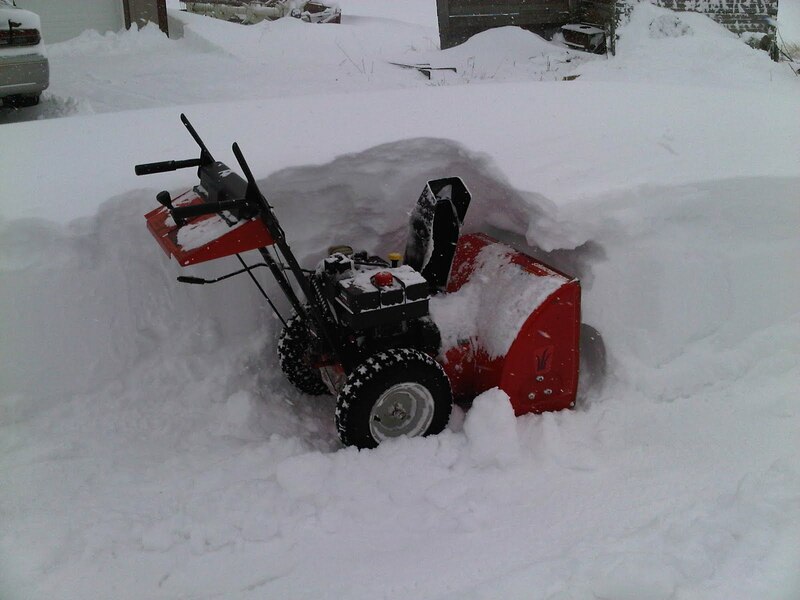 At Glenn's place though, he said there are hillsides empty but huge drifts in other areas. I'm trying to ignore it all anyway. Tomorrow is March, which means the snow will magically melt away until next year, right? When out talking to members of the public, I'm hearing more and more often lately that we need to focus more on fixing and maintaining the transportation infrastructure that we have, rather than building new. This article from Economix suggests “Fix It First, Expand It Second, Reward It Third” and mentions another sentiment I've been hearing more often lately, that we should be doing more public-private partnerships. What do you think; fix it and they will come, as the article title says? Visibility on the Rathdrum Prairie is being reported as very low and Idaho State Police are urging drivers to stay away from the area. An article in the Coeur d'Alene Press today (that I couldn't link to because they didn't post it on their website) says you may start noticing an unusual sight on southeast Idaho roads- roadkill marked with bright orange paint. The new paint marking system is part of an effort by the Idaho Department of Fish and Game and the Idaho Transportation Department to understand the effects of vehicle collisions on Idaho's wildlife, and the effects on public safety. Information about the road kills will be recorded, such as species, gender, age and location. Efforts focus mostly on big game animals, such as deer and elk, but include other species, such as raptors. The paint marking system was devised to help reduce the duplication of road-kill reports and information. If Fish and Game, Transportation or other agency personnel are called in to remove a dead animal from a roadway, and the carcass has been marked with orange paint, they know not to record the road-kill information - it has already been done. Data is essential to accomplish the main objective: reducing collisions between wildlife and drivers. It helps identify wildlife crossing areas, public safety concerns and sites where overpasses, underpasses and adjacent land use management can benefit wildlife and public safety. The bill from the private law firm handling Idaho's side in a lawsuit filed by former Idaho Transportation Director Pam Lowe, is a high price for tax payers. Lowe filed a wrongful termination case, contending she was fired after refusing to bow to political pressure from the governor’s office not to reduce a highway contract with political contributors. The Idaho attorney general’s office said it doesn't have the resources to handle the case, so hired the private firm. The problem; the private firm charges up to $250 per hour, a lot more than the $55 an hour it costs to use state attorneys. The Idaho Statesman has the story. And a lot of comments. Up to 71 of them last I checked. The winter storm has hit the North Idaho area particularly hard, causing dozens of slideoffs, lots of backups and major inconvenience. 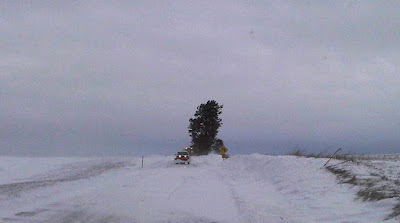 The Coeur d'Alene Press has a roundup of accidents and incidents caused by weather. Hey look! 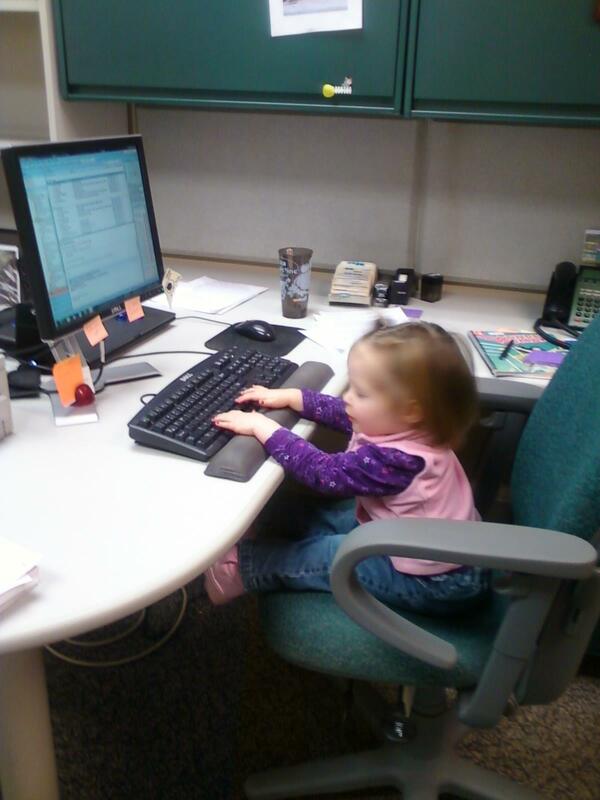 After months of complaining, management FINALLY got me an assistant! With the economy being so bad though we weren't able to pay as much as I would have liked, and had to hire accordingly. This little lady doesn't have a college degree but she draws a mean scary monster. And I have to ask her mom if I need her to work more than an hour or two at a time (and if I could post this picture). Actually, her mother found out at the last minute that daycare was closed and didn't have any other options so brought her into the office. I watched her while mom was in a meeting, which completely blew my child-disliking cover. If you're like a lot of folks these days, you may be getting all your news from social media sources, such as Facebook and Twitter. Well now you can keep up with what's happening in Post Falls through Facebook. The City has just gotten on Facebook and you can 'like' them here in order to get updates on the latest happenings. I personally like this because it will save me having to check their web page to for transportation-related happenings that don't always pop up on the RSS feed I have to track transportation news. Facing dwindling funding sources and escalating costs, Lakes Highway District officials have restructured the agency to cut hundreds of thousands of dollars. Commissioner Marv Lekstrum says the restructuring is an effort to be more efficient and that they're being forced to get creative in the face of the poor economy. Revenue from a users tax on fuel is down 21% according to Lekstrum because drivers are finding other ways to get around or driving more fuel-efficient cars. A property tax increase hasn't helped much either and the district's current purchasing power is down 42% since 2000. Add to that a 34% increase in costs due to the rising price of asphalt and fuel for equipment. As a result, the district has reduced its 15-member road crew by five, with three of the employees retiring early. Maintenance work is now covered by contracted workers, which saves on insurance and overtime. The highway district also recently hired an engineer tech and engineer to save money on work that was previously contracted out. Those changes have saved about $378,000 and between $300,000 and $1 million was saved on three recent road rehabilitation projects because of contracting out labor and keeping engineering in-house. The district has reduced its clerical staff by 7%, saving about $23,000, and reduced the work week to four days, all while rewarding the remaining employees with a 2% raise. Other highway districts contacted aren't following the Lakes model at this time. Odds are increasing that there could be a short-term shut down of federal agencies coming, including the Department of Transportation. This is due to a stalemate between Republicans and Democrats on resolving differences in Fiscal Year 2011 spending. While talks drag out, a Mar. 4 deadline looms to pass a spending bill. It's looking more and more likely that a compromise won't be reached in that time. A lot of Idaho drivers have been commenting on the rise in gas prices just since the beginning of the month. State gas prices have gone up 14 cents since the beginning of the month. Before that, prices had been below the national average for ten weeks. The state average is currently $3.10 a gallon. Gas prices in six Idaho cities on Friday ranged from $2.95 in Lewiston to $3.25 in Nampa. But where will they go from here- up or down? I say over and over again how 'boring' (meaning how normal the people on it are) my bus route is. But I think that's a good thing. Things were a little more interesting on a Whatcom County route this week. A bus driver was fired because he promoted prostitution to a rider! When a passenger told the driver that he's broke and having a hard time making ends meet, the driver told the man "He had a friend that could perform a sexual act on the passenger … and pay him $50 for it." King5.com has the story. Anything out of the ordinary happen to you on the bus lately? The one-way section of Strahorn Road is causing some discordance between Hayden and Hayden Lake. But they're addressing the issue. This week city council members for both cities got together to discuss the problem and agreed on a process to explore alternatives- together. Hayden Lake designated the half-mile section of Strahorn - between Miles Avenue and Hayden Avenue - a southbound one-way in September for a number of reasons. Hayden Lake says they weren't consulted and don't like the decision, also for a number of reasons. But the good news is that they're working together to improve the situation. If you're one of the people who attends the Kootenai County Area Transportation Team (KCATT) meetings, take note that next week's (Feb. 22) has been cancelled. The next meeting is scheduled for Mar. 22 at 8 a.m. so mark your calendars. A reminder that Monday is Presidents' Day, meaning some government offices will be closed. KMPO staff will be working (it's not that we don't respect the big guy, its just that we negotiated the day as a 'floating holiday'), but City of Coeur d'Alene and Post Falls offices will be closed. Rathdrum and Hayden's websites didn't specify and they haven't sent out a press release, so call ahead if you have business with them on Monday. The Spokesman's Eye on Boise blog has a story about how an Idaho senator is trying to help the state's cash-strapped schools make ends meet, by proposing a bill that would allow districts to sell advertising space on school buses. Of course, there would be restrictions on what could be advertised. Supporters of the idea say it's practically free money, but opponents argue the tactic isn't much different than dressing teachers in sponsor-emblazoned uniforms. There are already about six states that allow this kind of marketing, but do you think Idaho should join the ranks? Take note: all left turns will be restricted at the intersection of U.S. 95 and Lancaster Road in Coeur d'Alene beginning March 1. The median crossing at the intersection will be closed while crews assemble and erect structures for a traffic signal. Work requiring the left-turn restrictions is expected to take about one week to complete. When the span over the median is in place, the median will be reopened. Daily closures will occur as work progresses to install the U.S. 95 spans. The median will reopen at night. Boekel Road is the designated detour route. Right turns onto Lancaster and onto U.S. 95 will be permitted. Once installation is complete, the signal heads will be covered and will not become operational until the final layer of pavement and pavement striping are completed later this spring. Signal and intersection work is part of a project to widen U.S. 95 between Wyoming Avenue and the Idaho 53 junction south of Garwood. Funding is provided through savings from other American Recovery and Reinvestment Act (federal stimulus) projects that were bid in 2010. Here's an extreme version of why you shouldn't text, or do anything with your phone, while driving: the family of a pedestrian fatally struck by a vehicle is suing the driver, claiming she was updating her Facebook page on a cell phone when the crash happened. CBS Chicago has the story. Do you feel under fire behind the wheel? 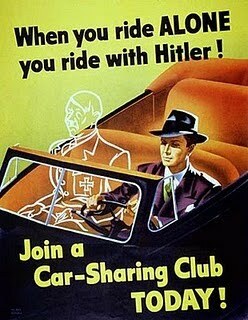 Do you think there's less courtesy and more road rage these days? This editorial from the Seattle Times says driving is getting more combatant, drivers are getting ruder and the first commandment of Seattle driving is that if you make a mistake, you give the other driver the finger. The writer also claims that Seattle drivers are the worst; refusing to signal, passing on the right, and hesitating to let other drivers merge. After reading this piece, Spokane drivers' tendency to run yellow and red lights doesn't look so egregious. So read the piece and let me know, are things getting worse out there? Is this just a Seattle phenomenon or is it happening everywhere? 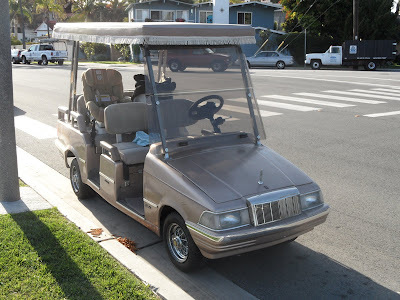 1 Million Electric Vehicles By 2015? President Obama recently reaffirmed his desire to have 1 million electric vehicles on the road by 2015, but is that really realistic? A lot of auto makers are saying no, but there is work on the government's end to encourage the production and sale of electric cars. Here's what's happening behind the scenes from the Federal Transportation Issues blog. Do you think you will be one of the million to be driving an electric vehicle by 2015? A lot of people are affected by the loss of the North Idaho Community Express (NICE), but the elderly and infirm seem to be finding the transition most difficult. KMPO is working with the Community Transportation Association of Idaho and other agencies to restore as much service as possible, but in the meantime many elderly residents are struggling to get to the services they need. The Coeur d'Alene Press has the story. Here's your reward for making it to Friday. This 1968 educational film starring actor Paul Lynde and LA newscaster Ralph Story was produced and distributed to libraries, schools and community groups by the Southern California Rapid Transit District (1964-1993) in advance of a 1968 ballot initiative. It's pure cheese, but still applicable. Public Private Partnerships- The Way Of The Future? As many of you know, KMPO contracts with Spokane Regional Transportation Council (SRTC) on the Washington side of the state line for day-to-day operational and administrative needs. We had a meeting of the SRTC Board yesterday, which was preceded by a 'brown bag lunch session' presentation on transportation funding; where it comes from, how its determined what projects get money, etc. A topic that came up in the discussion was the role that Public Private Partnerships (PPP) play in improving transportation facilities. It seems to be one of the topic du jours lately, as I logged onto the Federal Transportation Issues blog this morning and found this article on the same subject. The piece makes an argument for making greater use of PPPs as fuel tax revenues drop and gives a refresher course on PPPs. In the past, I've talked until blue in the face encouraging people to find a different way to get to work besides driving alone. But it never occured to me to accuse someone of being a Nazi to draw attention to the cause. I stole this picture off the Coeur d'Alene Pedestrian and Bicycle Blog. Go there to find out why some experts are using the same tactics today- in the name of national security. I just heard a really interesting 'factoid:' Apparently 1/3 of drivers on the streets in downtown Seattle in the evening are looking for a place to park! The Idaho House Judiciary Committee yesterday voted unanimously to introduce yet another bill banning texting-while-driving. Two similar bills failed in early 2010. This one is different though- it would rely heavily on driver honor to get citations. Law enforcement officials would need admission of use of electronic devices in order to hand out a distracted driving ticket. Really? IdahoReporter.com has the details. So what are your thoughts? Will a law like this have any teeth or will people just deny they were fiddling with their gadgets? State lawmakers are considering a bill that would require children ages 12 and younger to wear a helmet while riding their bicycles on Idaho roadways. Sen. Diane Bilyeu, D-Pocatello, brought the legislation to the Senate Transportation Committee on Tuesday. Under the bill, kids who are bicycle passengers would also have to wear helmets. Yesterday Vice President Biden announced the Administration's plan to request $8 billion for high speed passenger rail in next year's budget. Today, House Republicans proposed essentially zeroing out this year's funding. If budget cuts released today are adopted, 2011 proposed funding of $1B for high speed passenger rail and $224 million for Amtrak operations would be eliminated. The Federal Transportation Issues blog has the entire list of proposed cuts. Smart Growth America is an organization dedicated to researching, advocating for and leading coalitions to bring smart growth practices to communities nationwide. They work with communities to fight sprawl and do everything from providing sidewalks to ensuring homes are built near public transit and farms remain part of communities. Smart Growth America's report discusses how states spent their flexible transportation funds from the 2009 stimulus, and specifically looks at which states were more successful (or less successful) in creating jobs out of those funds. So who were the big winners? Apparently states that invested more heavily in public transportation than new construction of roads and bridges came out on top. In our area, Idaho was ranked #35 for percentage of total road spending allocated to system preservation and new capacity and Washington was #38 on the list. For Percent of funding spent on public transportation and non-motorized projects, Idaho came in #17 and Washington 33. There's a lot of other interesting info in this report you will want to check out, so click here and read it. Then give me your feedback if you have any. Still haven't provided your opinion on the McEuen Park project? Well you're being given another chance. A forum for the proposed McEuen Park Project will be held this Thursday, February 10th, at 6 p.m., at Woodland Middle School. Various elements of the plan presented in earlier meetings will be open for comment in the larger setting provided by the middle school, located at 2101 Saint Michelle Avenue. There will be opportunities for public input and discussion at this forum. If you're still in the dark about what the plan proposes, here's a link to the McEuen Park website. Vice President Biden today announced a six year, $53 billion plan to improve and expand intercity passenger rail service. The administration is calling for a $8 billion investment in FY 2012. As outlined in the president's State of the Union address, Biden says President Obama’s goal is to give 80 percent of Americans access to high-speed rail within 25 years. So here's my tribute to rail transit; the classic Simpson's song and dance number 'Monorail.' How come my public meetings never end with a big song and dance number? I need to work on that. President Obama spoke to U.S Chamber members today. In addition to other topics, he touched on transportation specifically, and how he wants to put people to work fixing transportation infrastructure. The WSDOT's Federal Transportation Issues blog has the story. AAA isn't giving up on banning the use of handheld devices while driving. The travel organization is working with lawmakers again this session to ban using such devices behind the wheel. And they're asking for your experiences involving talking or texting and driving. The findings from a congressional commission have just been released, and they say the gap between current revenues available for surface transportation and capital needs each year is $137 billion. Wow, that's a lot of money! So how do we bridge that gap? The American Association of State Highway and Transportation Officials have come up with some options you can read about in this entry on the Washington State Department of Transportation's 'Federal Transportation Issues' blog. Citylink's ridership numbers for January have just been released, and they're up again, on all routes except one. Here's a look at the numbers. Its hot topic time. Anytime I blog about Red Light Cameras, I get a big response. The folks who comment on this blog are overwhelmingly against them. And that's your right, because, as with all fairly new technology, their effectiveness hasn't been completely proven one way or another. A new study out of the Insurance Institute for Highway Safety has just been released on red light cameras, with some interesting conclusions. It says they saved 159 lives between 2004-08 in 14 of the biggest US cities. Here's a release from the Insurance Institute for Highway Safety that breaks down the report data. Or you can watch the Associated Press video summary below. A warning though, you're going to have to sit through a preview for the new Nicholas Cage movie 'Drive Angry.' Shot in 3D of course. Looks like a classic. When you work in transportation, people tend to get excited on your behalf. I received a text at 5:45this morning from a friend on the coast that said, "It's megaloads day!" Uh yeah,I still have another 20 minutes before my alarm goes off. 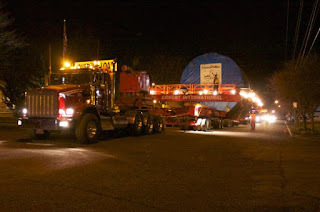 The first oversized ConocoPhillips load safely completed the first segment of its four-day journey across U.S. 12 early this morning, arriving at a pullout two miles west of Orofino at approximately 3:20 a.m. The Idaho Transportation Department has this video of the operation. There are three parts of the McEuen Field conceptual plan that are getting the most amount of feedback: development of Tubbs Hill, replacing the Third Street boat launch, and removing the American Legion Baseball Field. The Coeur d'Alene Press reports on some of the feedback officials are hearing on the plan. I have pretty well stayed away from the Megaloads issue on this blog, just because the debate didn't seem to be going anywhere for the longest time. If you're looking to keep up on the issue though, I will direct you to a good place to get info. The Idaho Transportation Department website now has a web page devoted to U.S. 12 shipments. Check it out. The city of Coeur d'Alene is increasing some of its fees to offset the cost of providing services, including parking prices at a couple locations. This Coeur d'Alene Press article says you could be paying almost double what you've paid in the past to park in certain lots.